Select Items. 2 Days Only! 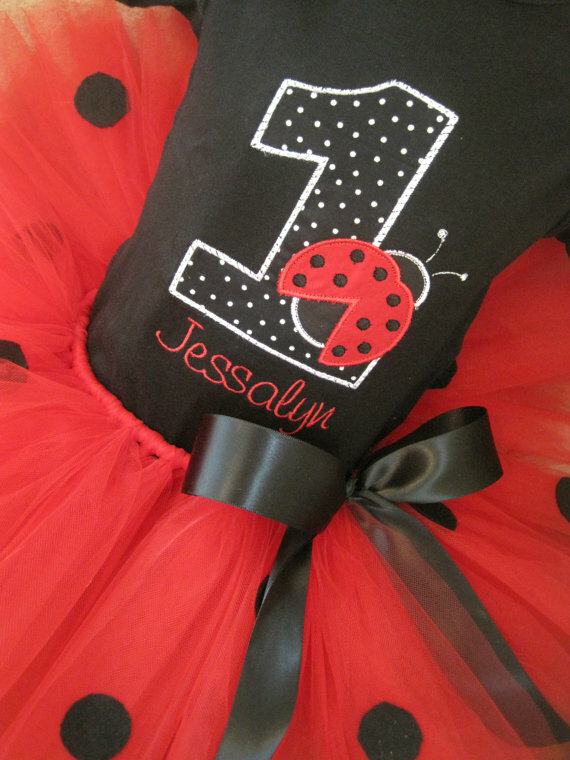 This adorable birthday set includes one shirt or onesie with the birthday number and a ladybug, and your childs name included! 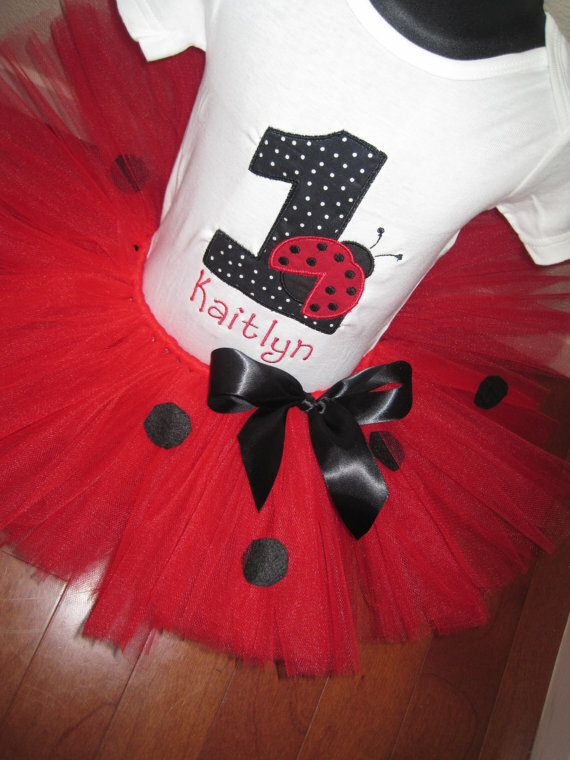 Paired with a very full red tutu & black polka dots with satin black ribbon bow embellishment! SHIRTS RUN SMALL, WE SUGGEST SIZING UP. This item is custom made in the US. 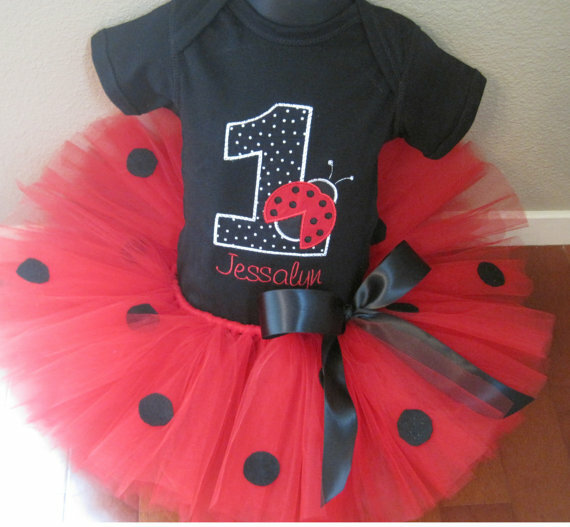 Please allow 3 weeks for your order to be created, plus shipping time.